The Takara TLK-15 Calibutr Optimus Prime is the toy maker's way of saying to its fans: "I see what you did there." When the Transformers Age of Extinction Optimus Prime came out, both the Takara and Hasbro and Takara versions had these use backpacks. This heralded the age of the personally despised "Shell-former." We hated it because it smacked of laziness. Even our beloved Takara Armor Knight Optimus Prime came with a backpack. Then the internet started filling up with a simple user solution: "Get rid of the backpack." Which we didn't do because - even if it was just one pin - getting rid of the backpack also meant getting rid of his thigh armor - his skirt - which made him look downright anorexic. 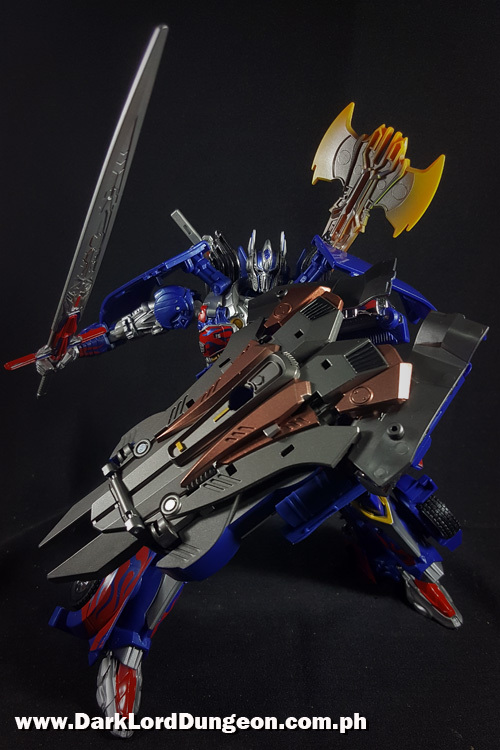 This: the Takara TLK-15 Calibur Optimus Prime, is Takara improving on that simple user's solution. Hear me, X-Men! No longer am I the woman you knew! I am Fire and Life incarnate! Now and forever - I am PHOENIX! 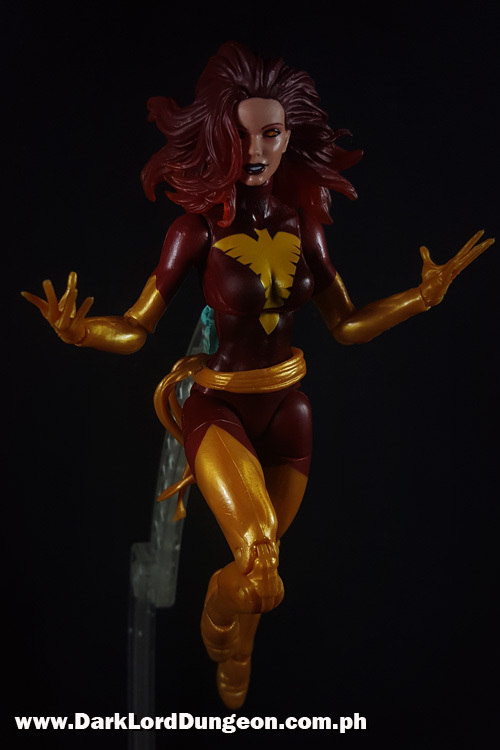 The latest Marvel Legends incarnation of the Dark Pheonix is definitely Fire and Life Incarnate. We're just hot off Jean Grey #6 which is hinting at the return of the original "older" Jean Grey via her ghost - assuming younger time-displaced Jean Grey is just not insane given that Dr. Strange can't seem to see the entity. Anyway, this isn't technically Jean Grey, this is the Phoenix in her form. For the Marvel Legend non-cosmic destroyer of worlds Phoenix version, click here.